When we get married, it is easy to get caught up in the fairy tale. It’s easy to tell yourself that you’ll never have problems, and you’ll never fight. The reality is that as we get more comfortable with each other in a relationship, it becomes easier and easier to let the relationship take the back burner. In the daily hustle and bustle of taking care of work, the kids, the house, we often de-prioritize our partners. There are many reasons for divorce. Circumstances change. Things you didn’t count on happening: adultery, abuse, addiction, and any number of other deal breakers can negatively affect your marriage. Most counselors and psychologists will recommend marriage counseling for troubled relationships, but some marriages may be in too much distress for it to be successful. While many couples make a valiant effort to keep it together for the kids, sometimes the best answer for everyone involved, kids included, is a divorce. 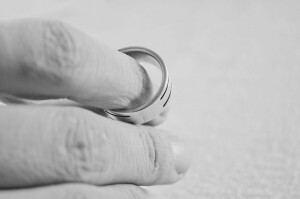 Even though divorce may be the better option in some cases, it doesn’t mean it isn’t stressful. Learning to cope with the emotions is critical to keeping the relationship healthy for the sake of your children, if you have them. Divorce comes with a number of emotions, and you need to allow yourself time to feel them all. These are all normal. Ignoring them, or creating chaos in your life while you feel them, is not a healthy way to cope with divorce. As you know, your children are not the reason why you and your spouse are not staying married. Your children have to deal with the divorce too, and usually it is not the answer to just cut your spouse out of their lives. Try not to make them feel like they have to choose sides. If you want to vent about your spouse, call or text a friend when the children are not around to hear you. If you must speak to your spouse in front of your children, try to keep it diplomatic. Discuss the issues when the children are at school, or sleeping. Investing in yourself is critical. You’ll be busy with the divorce proceedings and keeping life as normal as possible for your kids. Even if it’s just an extra half hour to take a hot bath, read a book, or watch your favorite TV show, it is better than neglecting your own needs. Remember that taking time for yourself is not selfish. Divorce is only one experience in your life. It does not have to define you, or be the legacy you leave behind. How you handle it will shape the rest of your life, and will ultimately impact your children if you have them. Sometimes it can be extremely helpful to talk to someone in order to navigate all of the issues that come up throughout this difficult process. Effective coping strategies can make a world of difference and make the divorce experience a positive one.